Enjoy a guided wagon ride around the farm. 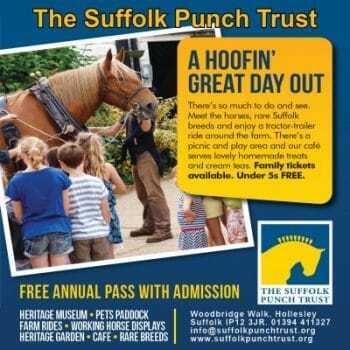 Meet and experience Suffolk Punch Horses demonstrating traditional heavy horse skills. Explore the Suffolk Heritage Garden and rare breeds or relax in the Suffolk Punch Trust café which serves delicious home cooked and locally sourced food throughout the day.